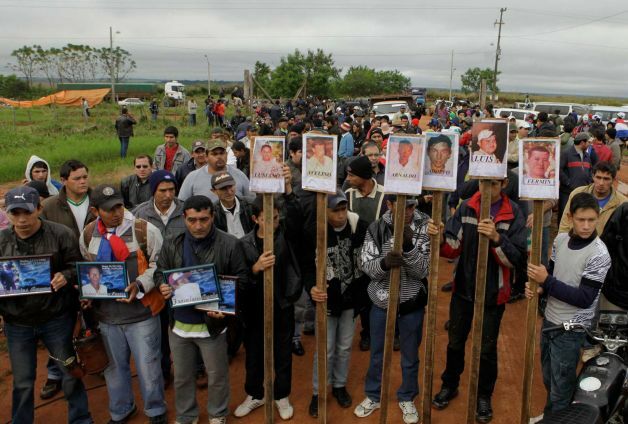 The historic antagonism in Paraguay between the campesinos and the elites over land tenure morphed into a violent conflict in Curuguaty on June 15. 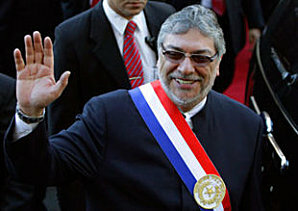 In the aftermath of the clash, political, social, and religious leaders have expressed serious concerns over President Fernando Lugo’s administration’s ability to control internal security. When President Lugo took office in 2008, he promised sweeping agrarian reforms as well as a reduction in violence and corruption within the government. However, since his election the Paraguayan citizenry has seen a rise in both crime and congressional support for corrupt officials. In Curuguaty, Paraguayans witnessed the consequence of policies that have long sacrificed land reforms for elite interests. Horacio Cartes, the leader of the Colorado Party and a potential presidential candidate in the 2013 elections, has led the movement to impeachment Lugo, an action that has politicized the Curuguaty deaths and thereby threatens to sweep the underlying social concerns under the rug. The police-campesino clash in Curuguaty highlights the Lugo administration’s ultimate failure: its inability to protect and provide basic social rights for the Paraguayan citizenry across the entire socio-economic continuum. 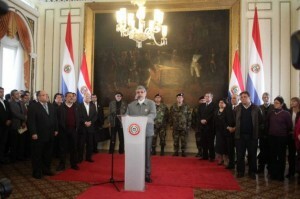 But more tellingly, the political coup initiated by the Colorado Party not only threatens Paraguay’s democratic legitimacy, but also exhibits the continued power-driven actions that have prevented any agrarian reforms as well as further distanced the political process from the majority of Paraguayans. The Truth and Justice Committee (CVJ) was created to investigate human rights abuses carried out between 1954 and 2003. It has been noted that under Colorado Party leadership, wealthy Paraguayans and foreigners had illegally acquired over 64 percent of their lands through government handouts or simply by seizing the land from campesinos. (3) Many campesinos, therefore, believe that the land handed out by the government during this period technically still belongs to the state, and have undertaken a protracted fight to retake their land tracts, resulting in frequent human rights abuses by the Colorado Party leadership against the indigenous population. By the time of Lugo’s election, Paraguay’s land distribution inequality had risen to the highest level of any Latin American country. Roughly 2 percent of the population controlled over 77 percent of the fertile land while small farmers, 40 percent of the population, owned merely 5 percent of all arable farmland. This growing inequality has led to significant pressure from campesinos over land regulation and the questionable ownership of at least 30 percent of Paraguay’s territory. Much of this land is located along the Brazilian border; in Alto Paraná alone, large landowners, predominately Brazilians, exercised their quick-handedness by grabbing more than 550,000 hectares of land—nearly 40 percent of all available land, arable and non-arable, in the region. 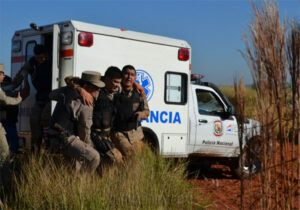 The CVJ found that “the increasing penetration of Brazilians in Paraguayan territory, displacing indigenous people from the land they have been granted,” aggravates the situation. (4) But these Brazilians represent the powerful influence of the soy farmers, whose products have driven the recent boom in Paraguay’s economy. As detailed in a 2010 COHA report, “It is no coincidence that the soy industry has grown in tandem with the increased violent oppression of small farmers and indigenous communities,” and that these “soy wars” came to reflect Lugo’s “business-government dichotomy caught up in the booming soy industry.”(5) Conflicts over the growth of soy, in conjunction with the corrupt land tenure laws, have become increasingly common in recent years but exploded into violence with the June 15 incident. President Lugo was unable to address land reform because the Colorado Party, whose coalition remains loyal to the landed elite and presides over a majority in the Paraguayan Congress, frequently blocked his land reform legislation, which they consider populist. Meanwhile, a growing number of Paraguayans have grown impatient with the president as he focuses on gaining transnational investment to support the farming sector. Social groups believe that Lugo, by giving into business and elite influences, has sacrificed reform for an anachronistic land tenure policy and the country’s corrupt legal system that supports these policies. Further, Lugo has failed to dislodge the elite class that frequently exploits the campesinos and the indigenous population. While the impeachment process will inevitably remove Lugo from power and throw Paraguay into mass turmoil, the investigation will also hopefully reveal the institutionalized cracks within the Paraguayan government that prevent agrarian reform. 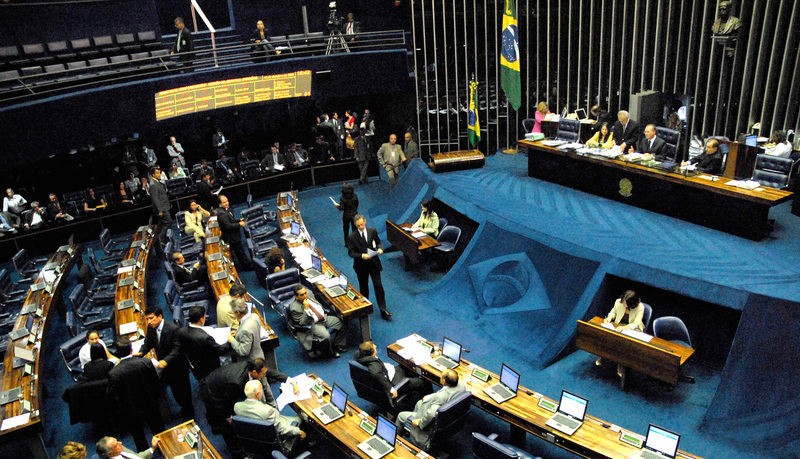 Nevertheless, the political jockey surrounding the impeachment process threatens any true progress regarding the larger social issues at hand. The liberal coalition turned on the president, citing his lack of transparency concerning Curuguaty as well as Lugo’s appointment of conservative sympathizers to replace the deposed liberal ministers in Lugo’s cabinet. The major opposition came from Senator Cartes’ Colorado Party, which jumped on every opportunity to criticize Lugo in the party’s attempt to regain the presidency in 2013, a position that it held for much of the last century. The Colorado Party condemned Lugo’s apparent support for the carperos, as it wished to see elites’ traditional property rights upheld and the carperos evicted from the land. Moreover, the Colorado Party continues to support widespread corruption in the Paraguayan legal sector, highlighted in May by the Colorado-affiliated senators’ attempt to push a measure to extend additional funds to the Supreme Court for Electoral Justice, the body that regulates all elections and has been connected to widespread election fraud. (7) Despite President Lugo’s veto, the senators voted the bill through the upper chamber before mass protests in Asunción influenced the lower chamber to accept the president’s actions. Thus, the Colorado Party hardly seems the suitable option to replace President Lugo, although its victory in next year’s election appears all but inevitable. Curiously enough, the Curuguaty incident presents Paraguay with an optimal opportunity to enact serious agrarian reform, addressing the internal security concerns voiced throughout Paraguay. Sadly, however, the incident will likely digress into another bickering match among the omnipotent, elite-dominated political parties. President Lugo has clearly failed in his electoral promise to the Paraguayan populace to protect campesinos from prosecution, eviction, and discrimination, but a viable figure to enact such necessary changes has yet to rise to the national forefront as a serious candidate. 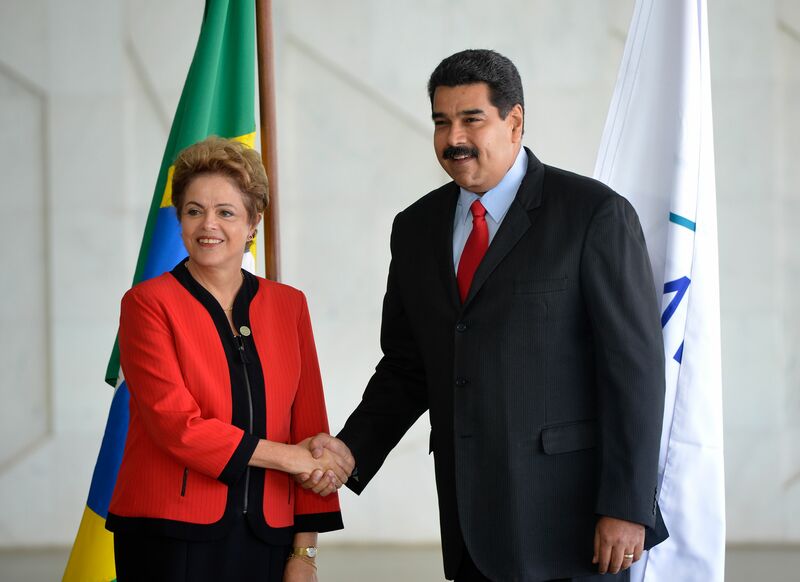 By impeaching President Lugo, an action that UNASUR and such South American leaders as Ecuador’s Rafael Correa and Bolivia’s Evo Morales already have condemned, Paraguayan Congress thus removes the citizenry from the political process and defies Paraguayan governmental legitimacy, essentially overseeing a political coup that defies the OAS charter banning extra-constitutional changes in power. Therefore, the true tragedy of the Curuguaty clash not only lies in the unjustified loss of life by both police and campesinos, but also in the government’s sacrifice of agrarian reforms at the hands of a power-grabbing ploy. These failures can lead only to a grim malaise, if not a protracted national crisis.